1/4” (6.4mm) cell size aluminium honeycomb. Available in 10, 12, 15 and 20mm thicknesses. Corex Honeycomb is recognised as a product which possesses an excellent strength to weight ratio. It can be used when rigid and lightweight properties are required. 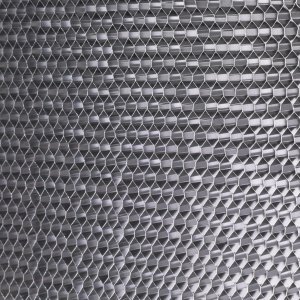 Aluminium honeycomb is used in a variety of different industries such as Marine, Rail, Aerospace, Construction, Architecture and Wind Turbines. It also has more specialised uses such as air flow straighteners, clean room panels, sacrificial laser cutting beds, ventilation and automotive applications. Our ¼” cell size honeycomb is the strongest we offer online (3/16” and 1/8” available via our custom request form/sales team). The small cell size means the core has a high density of 5.2lb/ft3 and is therefore the heaviest weight core we offer online. This makes it ideal for applications where strength is a priority. We offer a variety of thicknesses and all slices expand to 2500 x 1250mm. All our slices have been cut with a thickness tolerance of +/- 0.25mm. 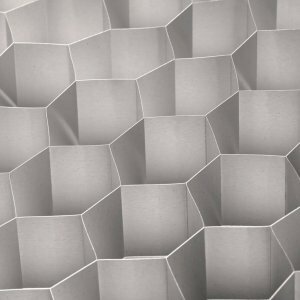 The Corex Honeycomb range available online is supplied in unexpanded form as cut slices. We offer it in this form as the honeycomb is much smaller and therefore more economical and easier to transport. It is also less likely to be damaged in transit. The slices are available to buy from stock and will expand to nominal dimensions of 2500mm x 1250mm. Please note that L and W dimensions may be marginally larger. L and W dimensions will never be smaller than stated. For expanded slices contact our sales team. Most of the honeycomb types supplied online are perforated. During the manufacturing process the aluminium foil is run over a needle roller so that tiny holes are punched into the foil. This allows fumes from adhesives to vent from the honeycomb during the panel manufacturing process. For non-perforated honeycomb contact our sales team. 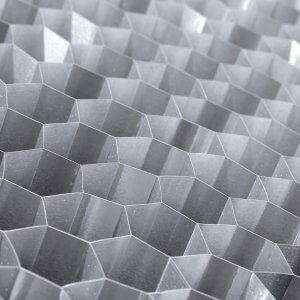 Corex supplies corrosion treated aluminium honeycomb. A surface coating is applied to the foil in house that helps prevent the honeycomb from corroding. It also improves the bonding properties of our core. 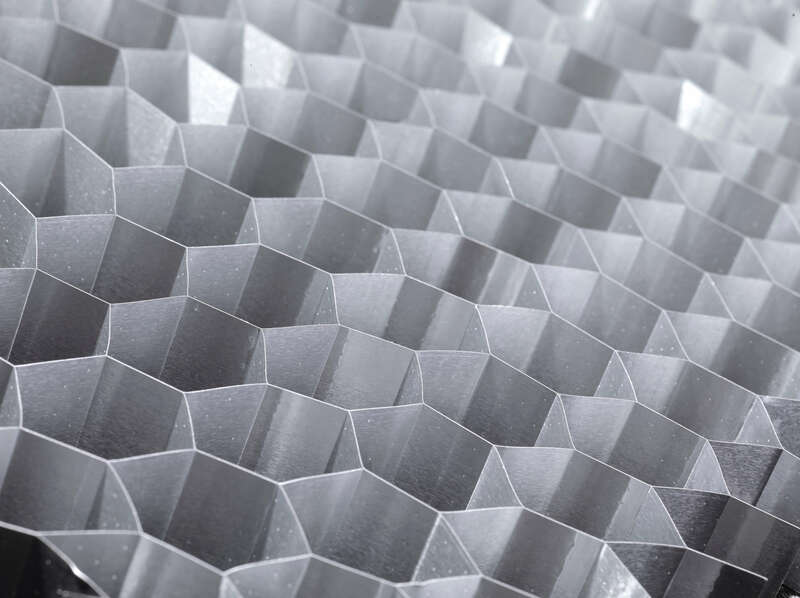 For other slice thicknesses, 5052 alloy, alternative cell sizes, and expanded honeycomb sheets please fill out our custom request form or contact one of our sales representatives to discuss. L and W dimensions may be marginally larger. L and W dimensions will never be smaller than stated.